Friday I had my first Coffee With The Counselor. Although it wasn't as well attended as I would have like it have been, the parents I had were eager to talk about how to help organize their children at home. The 7 Habits of Highly Successful Teens by Sean Covey is a great book about how to get organized and focused. Not only does it focus on academics, but it focuses on being successful in life. This was one of four Coffee With The Counselors workshops that I have planned. Each has a different topic, and I have set aside 45 minutes each marking period to talk with parents and caregivers. The workshops are informal. It is a time to ask questions and gather information and resources that can be used at home. We talked about how important it is to plan out a week. I talked about the Rocks and Bucket and how to plan and prioritize. Many students use and fill out their agenda daily, but do not understand the concept of a To Do List. They do not understand that if homework is due in 2 days that they can get a start on it on the first night, or that if they make a to do list, how it can make an overwhelming amount of work manageable. Here is a little video on Rock Filling. Workshops are a great way to let parents know what is important in your work as a counselor. They offer a glimpse inside your day, your projects, and your space you share with their children. They don't have to be fancy, and really you don't even need coffee. You just need a table, some chairs, and some time to talk. 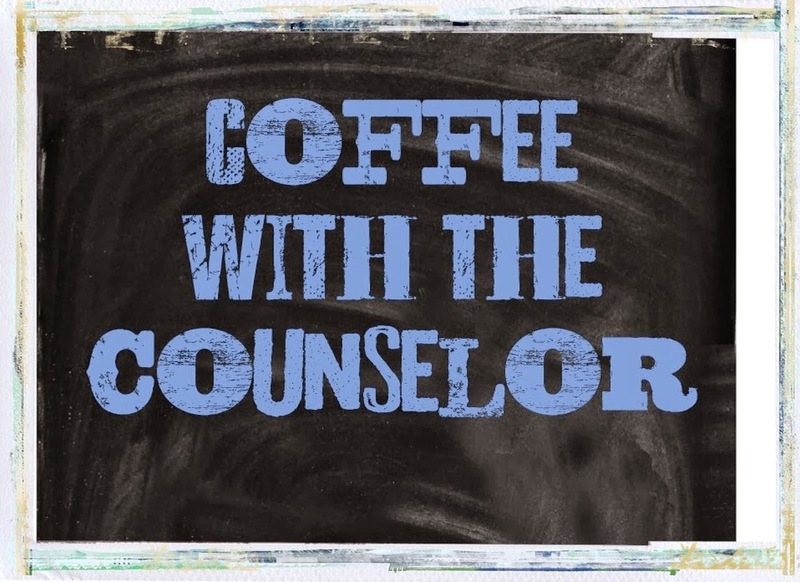 Have you tried a Coffee With The Counselor? I am at a high school and we had our first Coffee with the Counselor. It was informal and the topic of choice for parents was academics. It was a great discussion and to listen to the different points of view parents have about the school- good and not so good- was a helpful insight. It is nice to know how much the counselors are appreciated.